We support policies and efforts that preserve people’s rights and dignity and oppose those that are detrimental, especially those affecting vulnerable populations. Therefore, we support the recommendations of Denver Homeless Out Loud’s Denver Camping Ban: A Report from the Street. This report of a survey of over 500 homeless individuals, conducted as a response to Denver’s Unauthorized Camping Ordinance criminalizing homeless individuals sleeping on the streets, demonstrates to us that this ordinance is morally reprehensible. The report shows that the lives of unsheltered Denver residents have become more challenging, more stressful, and less safe since the ordinance’s enforcement began. They report being displaced, moved farther from resources and contacted by the police more often. And sadly, while police contacts have increased in frequency, the law’s enforcement protocol has not aided Denver’s unsheltered residents nor provided options other than sleeping on the streets. 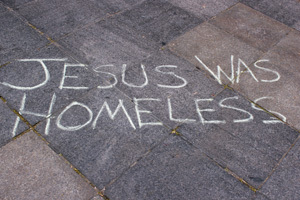 This ordinance was passed by Denver’s City Council in May of 2012, despite the lack of sufficient shelter beds, mental health services, substance abuse treatment, affordable housing and living wage jobs, and without the support of homeless providers and churches. We believe that a solution to the needs of our unsheltered brothers and sisters will only come about when citizens, churches, non profits, businesses and the City work together. We strongly urge you to make these changes in policy and law, so that we, as the community of Denver can truly work together for the betterment of Denver’s homeless community, and not to its detriment. the ancient fighting techinques in the Europe, for instance blade and face shield, jousting, halberd combating as well as sword-fighting. be as excessive as in my example, you should seriously start considering leaving. maintain focus and resist distractions, whether they come from the environment or from within themselves. as he identified the important tips shared on your site. gun shop because every time he had a gun in his hands, it just automatically pointed at someone’s head. Привет! Используете ли вы Twitter? если это будет нормально нормально. блог и с нетерпением ждем нового Обновления.